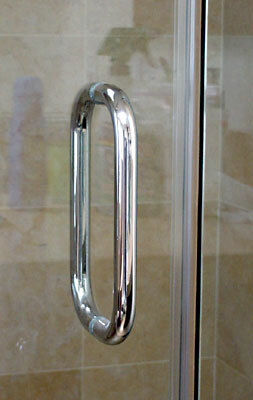 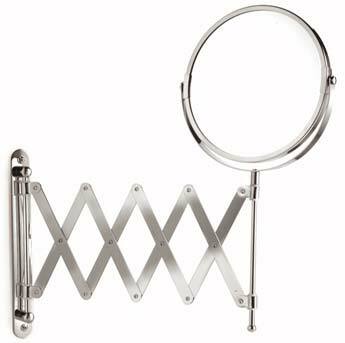 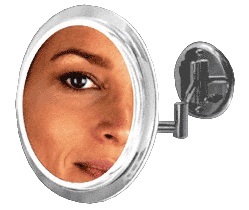 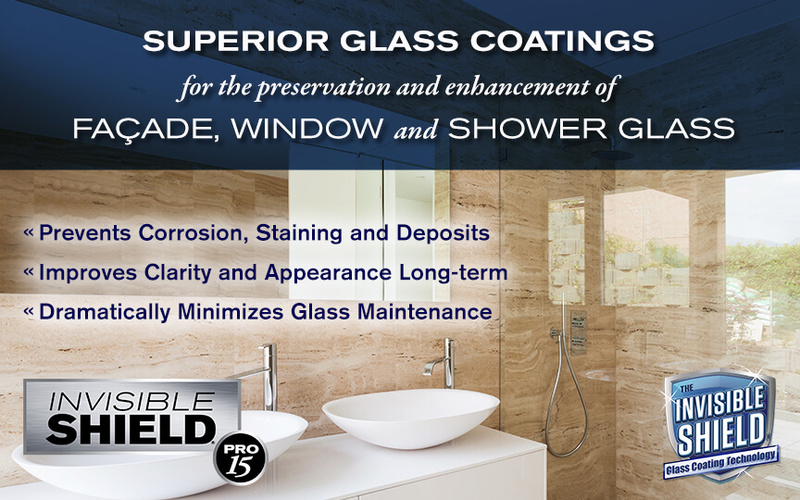 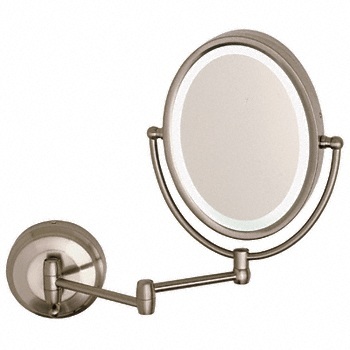 Our magnifying mirrors come in wall mount, pedestal and countertop models. 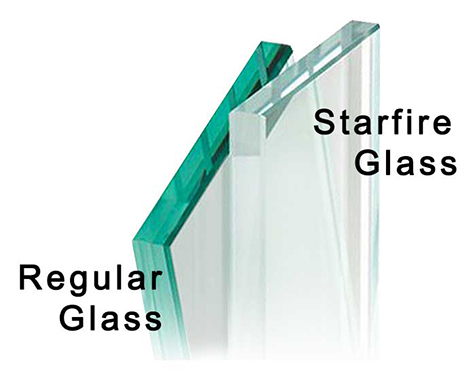 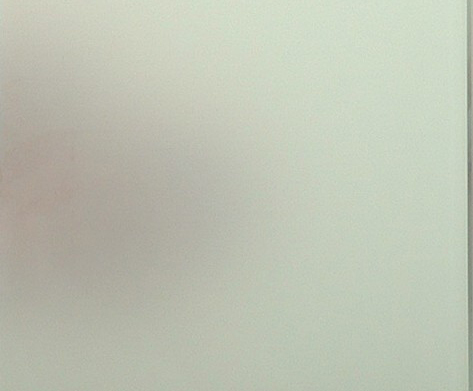 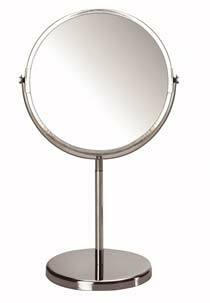 Mirrors come in lighted and non-lighted types. 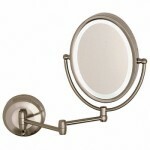 The Vanity Mirror has an LED surround light in a 7" diameter, brushed nickel frame. 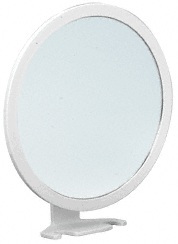 This convenient size mirror is 14" high and can be easily carried with you wherever you go. 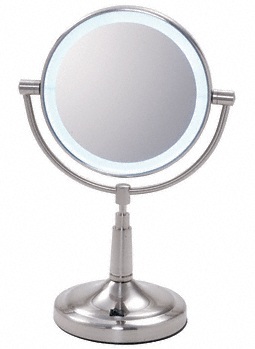 The Mirror uses four AA batteries which are not included. 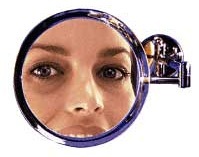 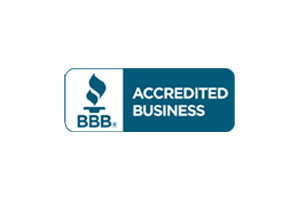 The 360 degree swivel Mirror has 1X magnification on one side and 5X on the other.